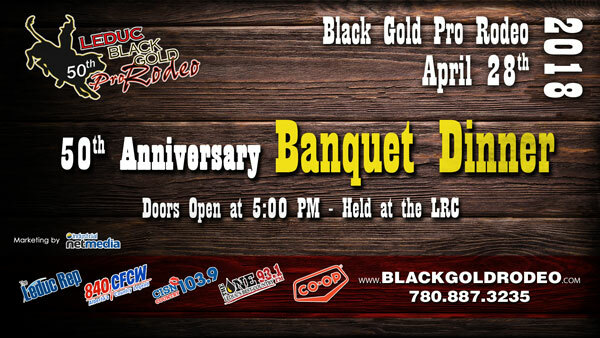 Come join us in celebrating Leduc Black Gold Pro Rodeo's 50th Anniversary at our Banquet Dinner! This fun-filled, kid-friendly event will be held on April 28th at the Leduc Recreation Centre. Doors open at 5 pm, cocktail hour from 5 - 6 pm, buffet dinner at 6 pm. Get ready for a fun night out with the whole family! Check out these other wonderful 50th Anniversary events going on up until the big weekend! Banquet Tickets are on sale now at the Leduc Recreation Centre! 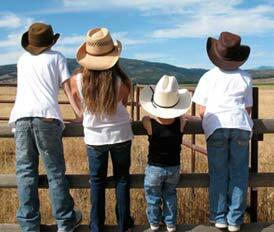 Classic country songs and laughter are the primary focus of this show! Audience interaction makes it fun for everyone. Imagine all the people in your community hall howling like coyote's and that's only 10 minutes into the show! Richard's ability to use so many audience members during the show, will delight and amaze the audience. Classic country songs are at the base, but the show is so much more with laughter being the primary feature! The buffet is being catered by Al Catering from Camrose, Alberta.